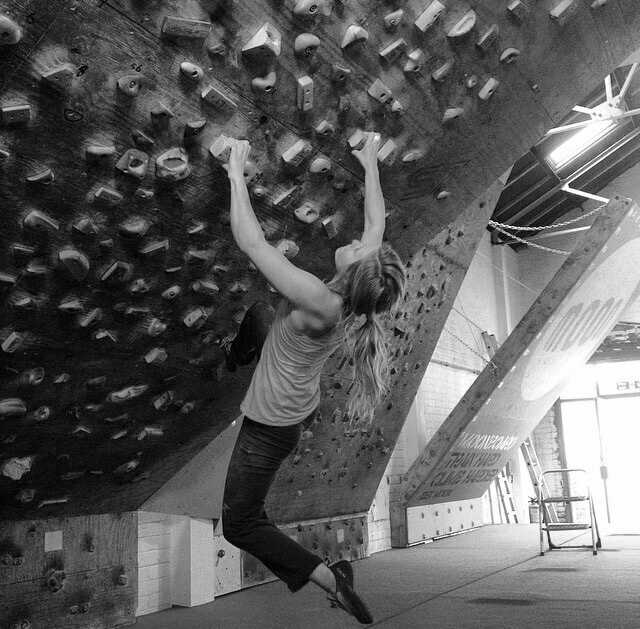 In most cities around the US, modern climbing gyms are opening left and right. These gyms boast tens of thousands of square feet of climbing terrain, training areas, weight rooms, yoga studios, and are even clean and well-lit. 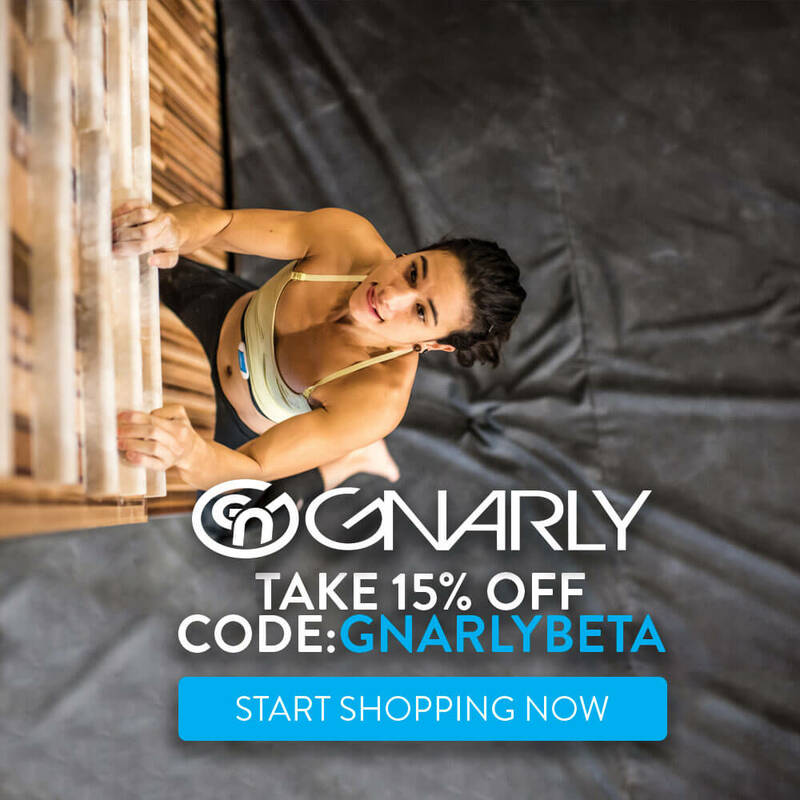 Essentially, they seem to have everything you could possibly need to improve your climbing. Spend enough time in one of these modern facilities and it’s hard to imagine that anyone ever got strong without one. The one thing you’re forgetting though is that these gyms are a new thing. 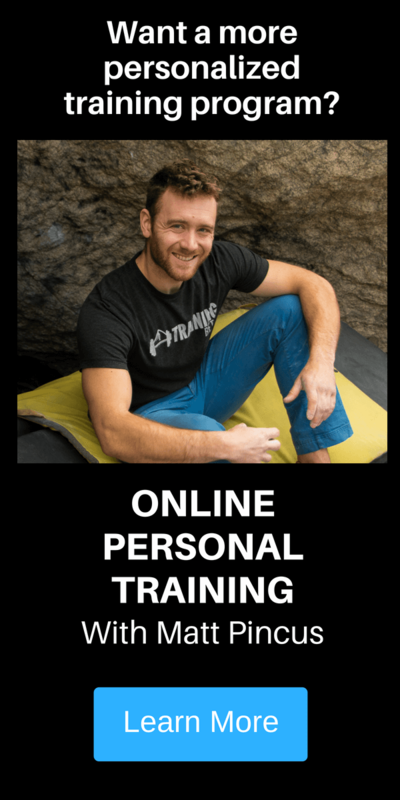 People have been training effectively and improving their climbing long before they ever existed. Bright lights and huge climbing gyms may be nice, but do you really need them to reach your climbing goals? 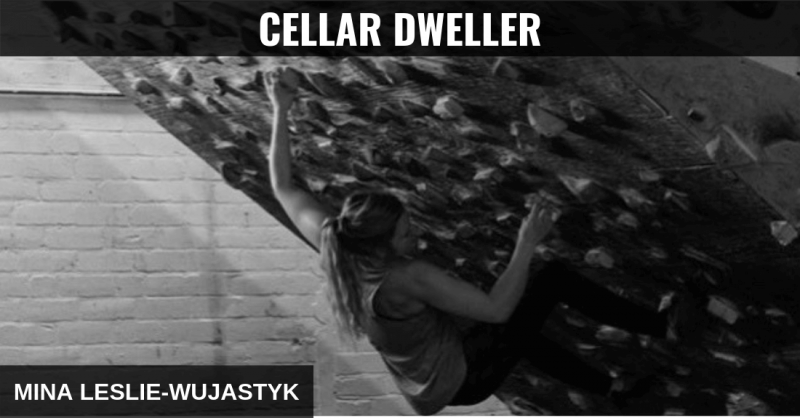 To underscore just how little you actually need for an effective training space, here’s an article by British professional climber Mina Leslie-Wujastyk, who takes us on a tour of the cellar training culture in the UK. This article, however, is more than just a virtual tour of Sheffield’s cellars. It’s also a reduction of climbing training to the core elements of hard work, commitment, and creativity. Prepare to be motivated! The current surge in training and climbing has seen new gyms popping up all over the world, complete with air conditioning, weight machines, flat whites, and gear shops. However, in the UK and Sheffield in particular, the cellars that hide beneath the turn of the century terrace houses are still in use. Damp, flaky walls, low ceilings, and concrete floors form the foundation for these training spaces. Little grates to the street above give a whiff of fresh air or serve as a funnel for the winter rain to wash the floors. This trend to make use of the dark damp storage area under one’s house is steeped in history for Sheffield climbers. From the late 80’s and early 90’s, cellar training was blooming in the steel city; Ben Moon, Jerry Moffatt and Andy Pollitt had their own home setups, to mention just a few. There was even a “board league” with friendly rivalry surrounding the most coveted of hard problems. To underscore just how prevalent the cellar scene was, UK climber Gaz Parry, as a younger man, even recalls seeing one of his heroes Mark Leach pictured in a magazine, training in his cellar. He was mounting holds to horizontal beams so he could mimic the roof climbing required to get strong for a specific route. Psych was high, motivation infectious. Many people will have heard by now of the Schoolroom, its newer version (still with the old boards) having been re-opened by Ben Moon in recent years. The original Schoolroom was a space in an old unused school, rented by a group of climbers so they had a place to build boards and get strong. It was the next step up from cellar-dwelling, almost like a giant shared version of the home set up. Although the original facility was above ground and somewhat more extensive than what a cellar could offer, it fostered the same gritty determination to get ever stronger and more powerful. The basics were the same: simple training structures, maximal effort, and no room for being lazy. I appreciate that training in a cellar seems a hard sell. But it’s amazing what a lick of paint, a dehumidifier, some fairy lights (can’t imagine those guys used fairy lights in the early 90s! ), and speakers can do. Put in a bit of effort to spruce things up and you end up with a private training space manipulated to suit your needs. Normal life exists just above, coffee on tap. All you have to do is head down the stairs. Training, to break it down into its purest form, is the application of “stress” or a stimulus to the physiological system to produce an adaptation that is relevant and useful for a specific task. 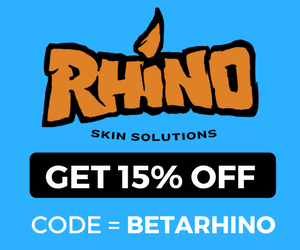 It is a targeted process of generating a response from the nerves and muscles so that they develop accordingly and improve their ability to perform. 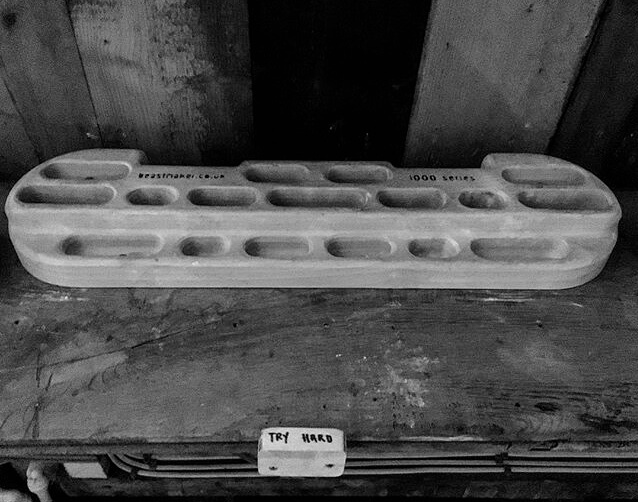 As climbers, the bar we use to measure the “stress” or load is dynamic, changeable, and adjustable. Sometimes training can seem complicated, but it pretty much always comes down to this principle of applying stress to produce adaptation. Methods, of course, will vary. The joy of a home set up, cellar or no cellar, is the specificity it offers. You can make it exactly what you want, no rules, no limitations. It’s a blank page, waiting for your scribbles, ready for your personal regime to emerge. Our cellar has a multitude of options for stress, from the central board and fingerboards to a range of random specific mechanisms for adaptation. The board is very steep and very short; the one rep max equivalent of board climbing. It requires creativity to make more than a five-move climb, but that is the whole point: it targets maximal exertion, all-out effort. A virtual punch to the central nervous system, the aggressive style takes no prisoners and drives top end adaptation. It helps with explosive power and contact strength; velocity is key. The kindness of wooden holds to the skin is a blessing in the midst of this hard-hitting, albeit it invigorating, training tool. The fingerboard set up is a combination of the classic Beastmaker 1000 and 2000 alongside a variety of other edges and rungs from different walks of life. 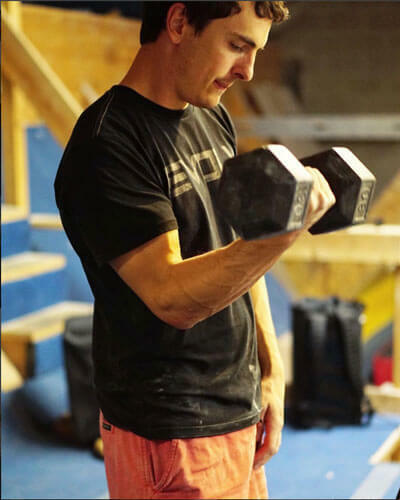 These props bear witness to many different protocols, from basic one- and two-arm max hangs (standard 10-12 seconds, sometimes playing with 15 second hangs) to the epic power endurance sessions of the Anderson brothers’ 7:3 repeaters. There is a story to our cellar when you look closely. Remnants of past ideas, specific exercises to replicate cruxes of former route or boulder problem projects are built into the design. Hooks screwed into the ceiling beams provide anchors for pulleys, and weight belts linger in the corner next to stacks of weights. Old school style blood pressure cuffs are the latest addition to the treasure trove of training paraphernalia; blood flow restriction training has been the new thing to try. One of my current weird and wonderful creations involves upside down jugs and a pulley for my foot to take some weight so I can tackle max hangs on the holds as pinch-undercuts. By mimicking a crux hold on my project, I’m attempting to prime my body in the most specific way possible. The beams allow for all sorts of random setups; I even have a system to train my elusive front lever with assistance, both on slopers and undercuts. 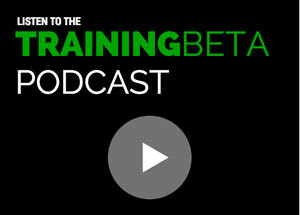 While the ability to customize the training space provides a multitude of options, most of the cellar-based training is strength and power focused. Endurance is better worked on a circuit board or a route wall of course; the cellars aren’t quite big enough…. But for those acute strength responses aimed at a specific goal, specificity can be crucial and that’s where the homemade version is irreplaceable. 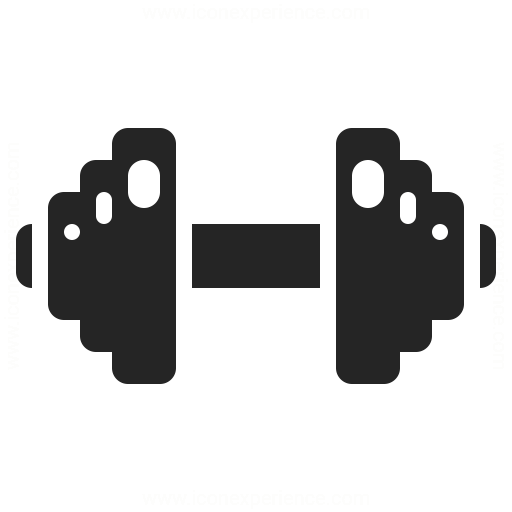 It’s possible to mold an exercise to fit an exact purpose or build a replica set of moves. It’s funny that with all the training facilities we have access to nowadays that the cellar “scene” here seems to be growing and thriving. I guess a lot of its popularity comes down to time efficiency and convenience as well as flexibility and autonomy of use. There are no opening and closing times; no session is off limits if 5 am or 11 pm is your window of opportunity. When almost all houses in Sheffield have a cellar, it seems remiss not to brush back the cobwebs and turn it into a training den. Whatever your home setup potential, take a moment and think, what could you do with it? Could you create something very specific to your goals to help you along the way? 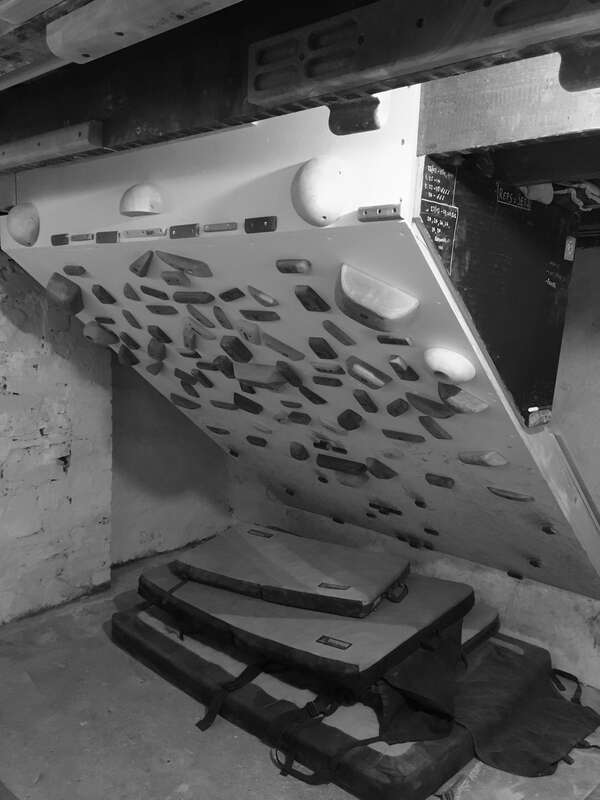 The surge in shiny new gyms is awesome and they tick a lot of boxes for the keen training climber, but are you settling just a little for what someone else prescribes? Thinking outside the box might give you dimensions you didn’t realize were there. The Sheffield scene has some inspiring history. Personally, it has highlighted to me what grit and determination paired with imagination can do. It’s not so much the actual facilities in the dank cellars that drive that inspiration: it’s the willingness to create, the drive to improve, the dedication to a process. Having our cellar setup does more than train my body: it reinforces the ownership of my process. It puts the onus on me to discover, try, adapt, and focus. The cellar is a little bubble of personalized conviction. 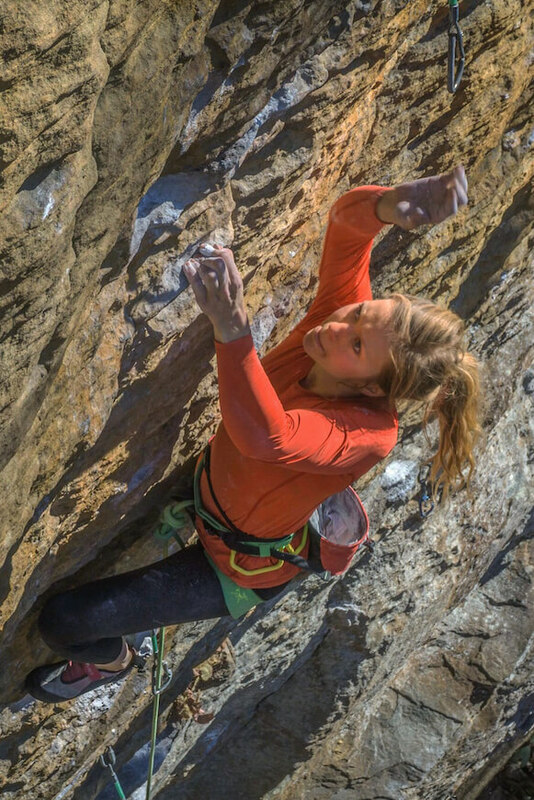 Mina is a U.K.-based professional rock climber who loves to climb, travel, learn, and write. 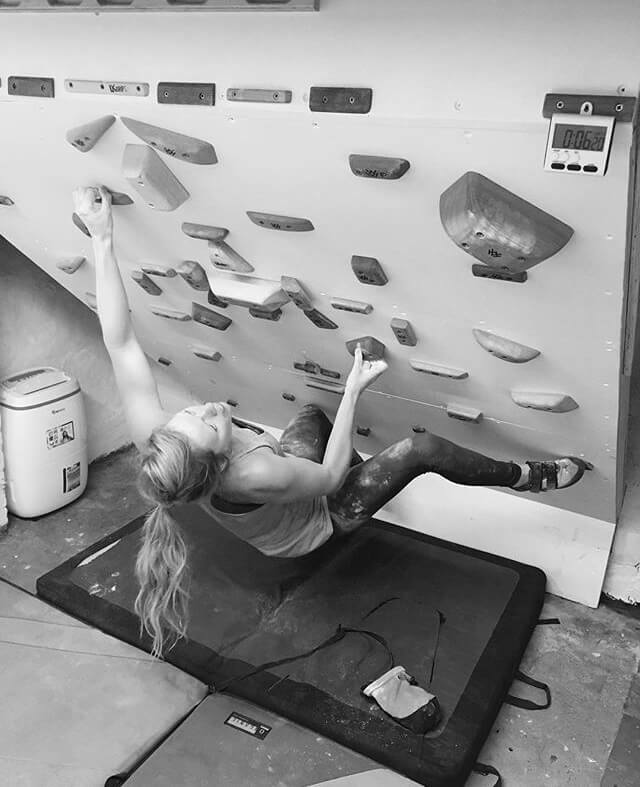 She has climbed all over the world, across different styles and rock types, during which time she has sport climbed up to 5.14b and bouldered up to V13. 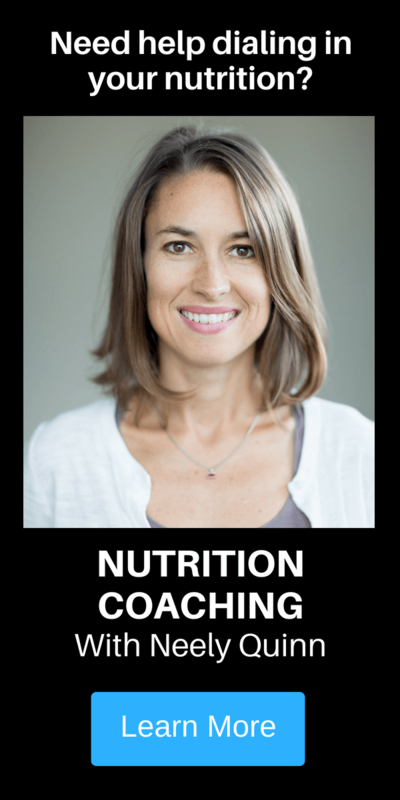 Her studies have taken her through many fields, including physiotherapy, psychotherapy, yoga, meditation, and nutrition. Great article Mina! There really is no excuse not to train… it just takes a little bit of creativity with the space you have and a try hard attitude… love the 1000 instructions 😛 I wonder what the instructions under the 2000 are?? ?